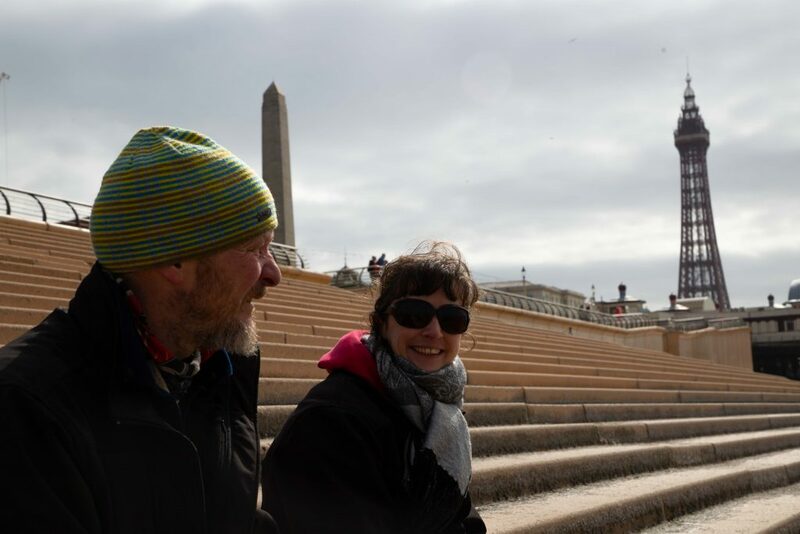 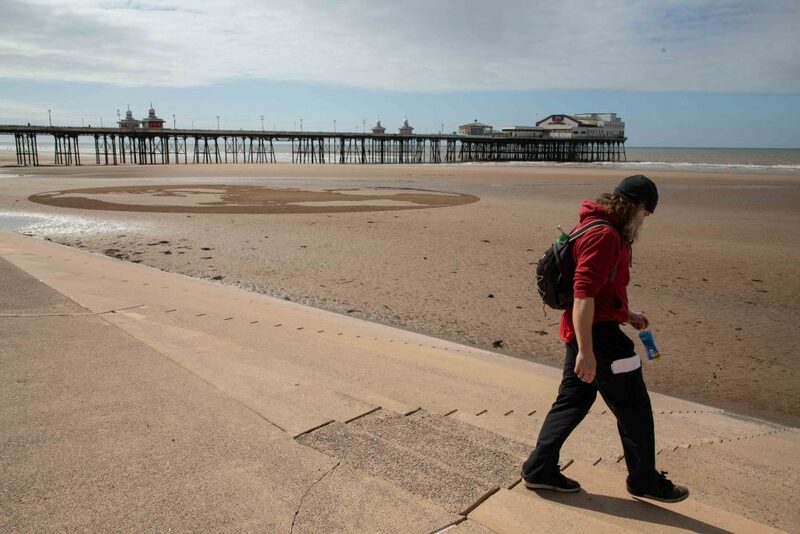 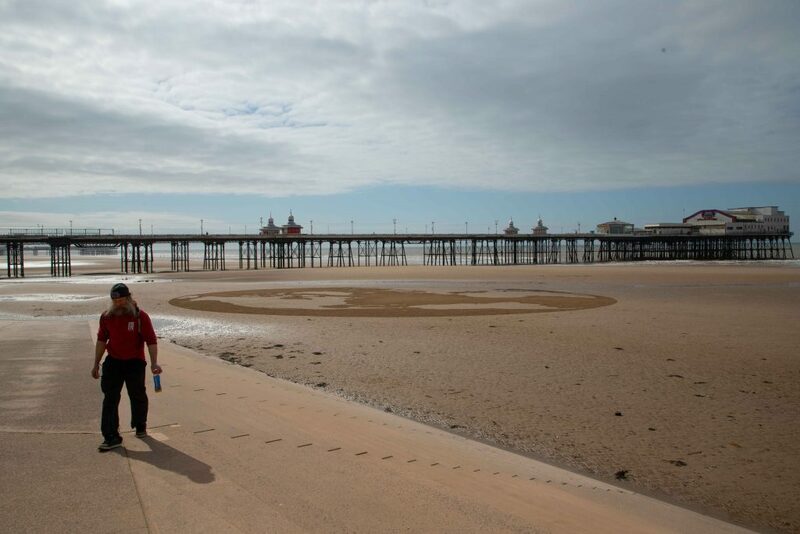 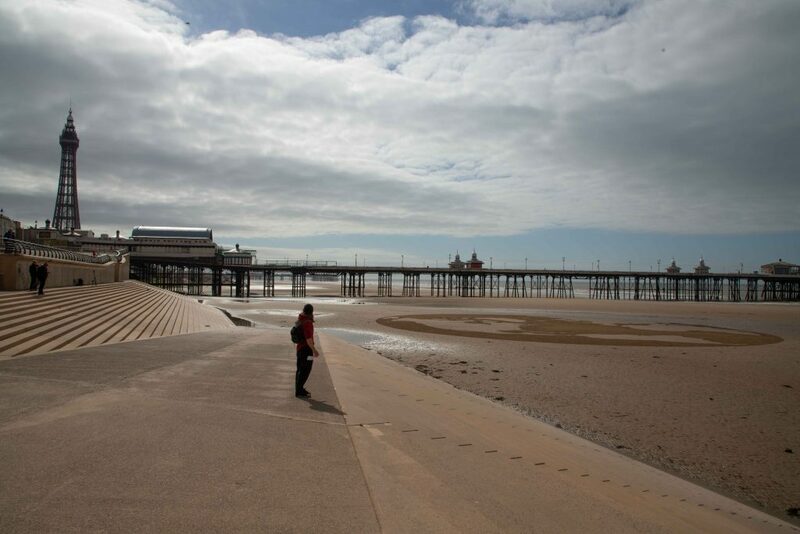 To celebrate Sea Life Blackpool’s exciting new exhibition, GDR PR asked Sand In Your Eye to race over from Yorkshire for a day making sand art on Blackpool’s famous beach. 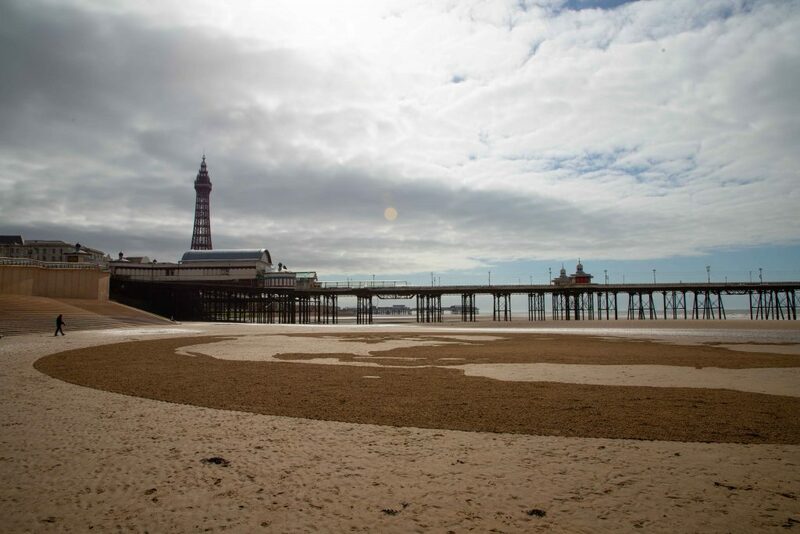 We’ve made sand drawings and sand sculptures with Sea Life before, last year we created the One Thousand Turtles interactive rake art to welcome Lulu the giant green turtle back to Blackpool. 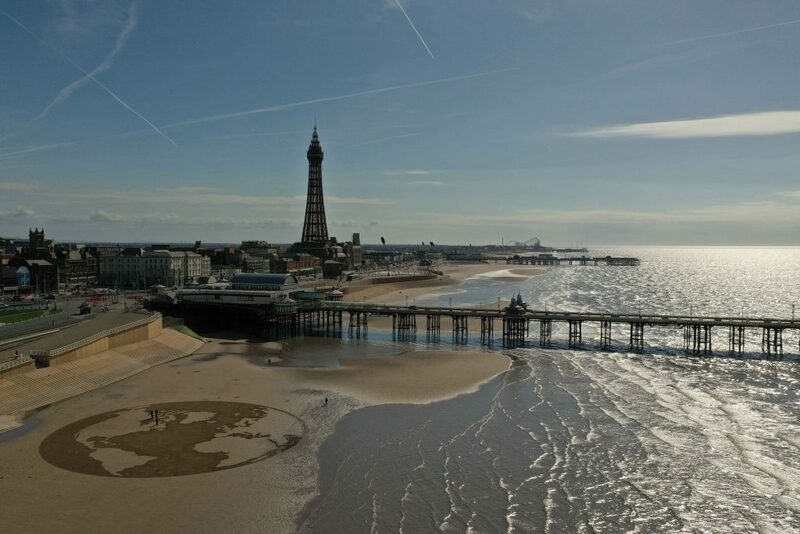 The educational and interactive exhibition, ‘Four Corners of the World’, which will open at Easter this year, has been designed to highlight the importance of reefs and wrecks in creating and sustaining rich marine eco-systems. 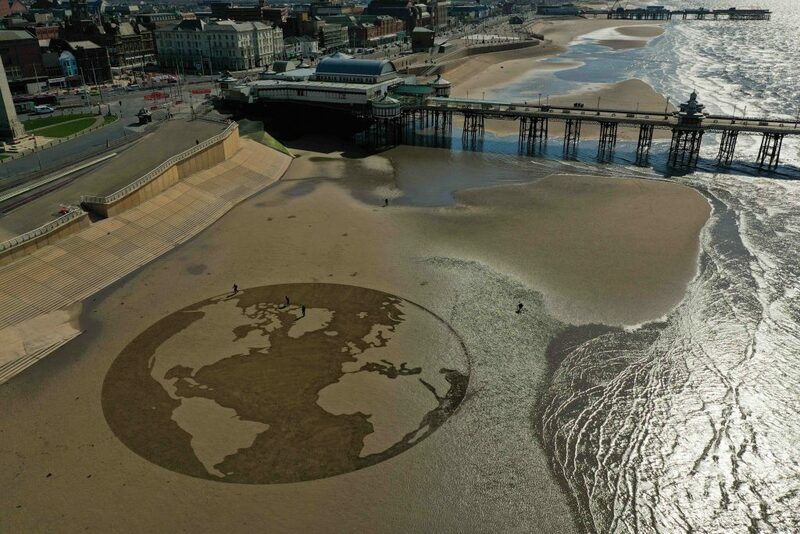 In recent years, people have become more aware of the importance of protecting the diversity of life in the seas and how human beings and our lifestyles affect the health of our oceans. 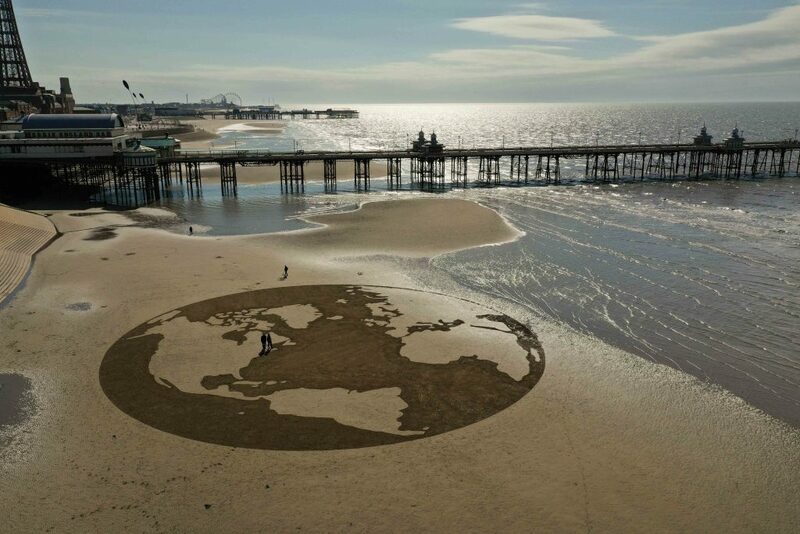 Sometimes a big message like this can be conveyed far more effectively with a simple image. 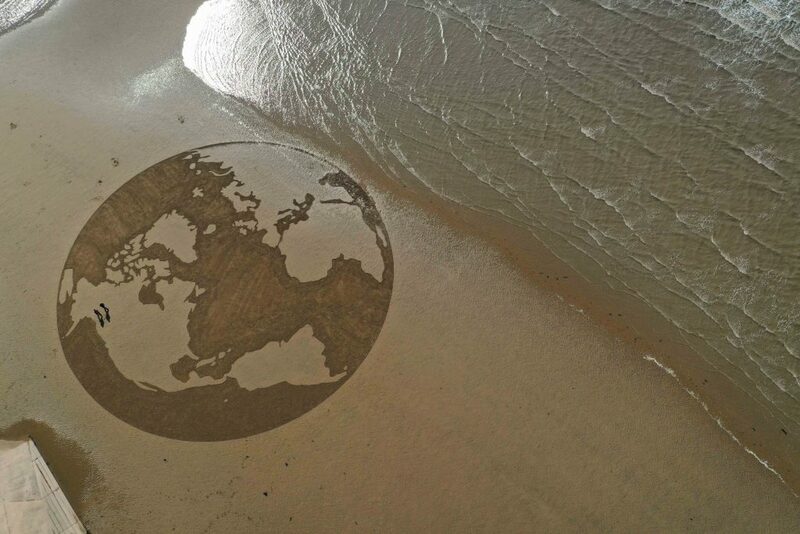 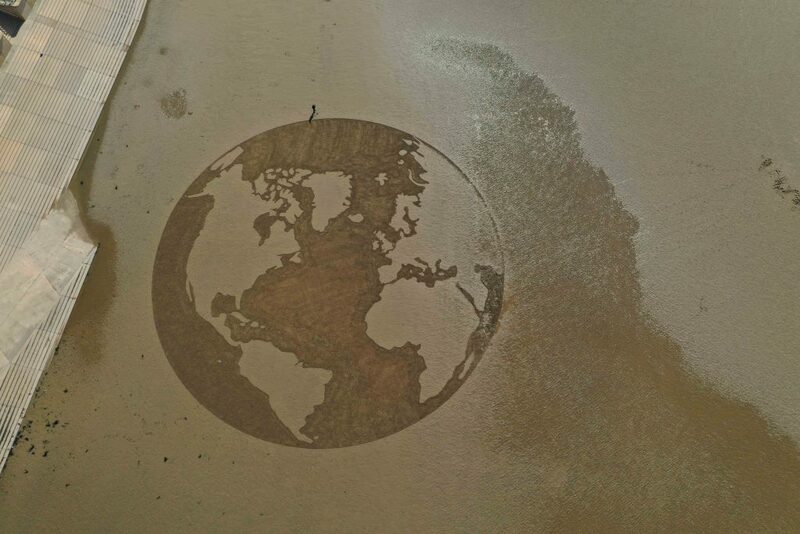 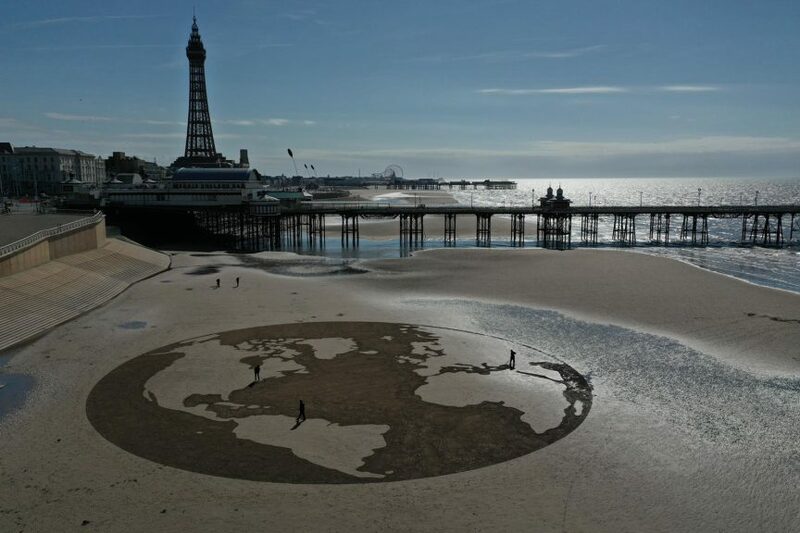 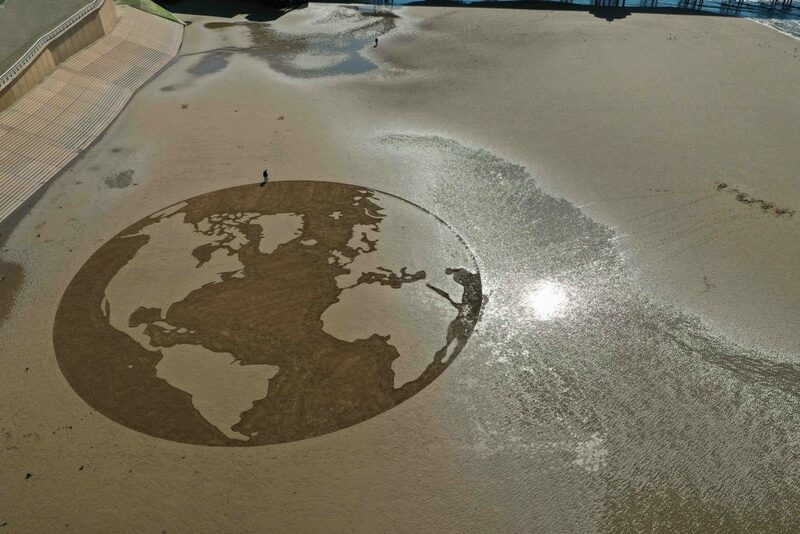 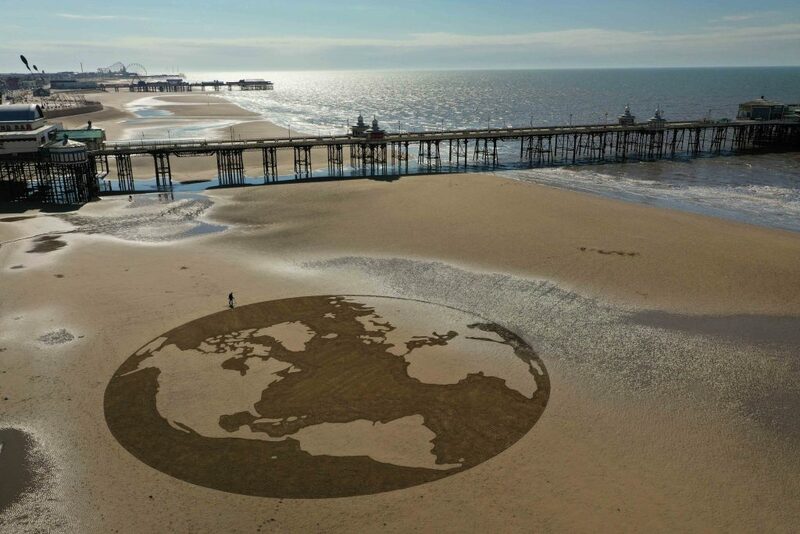 However, at 48m and including many of the world’s seas, continents, and countless islands, our sand drawing of the earth wasn’t exactly simple for Jamie Wardley, Rich Spence, Mark Wilson and Liz Warrington to construct, but the finished beach art made a great impact, footage of the globe even made it to local and national news, spreading the message of the exhibition. 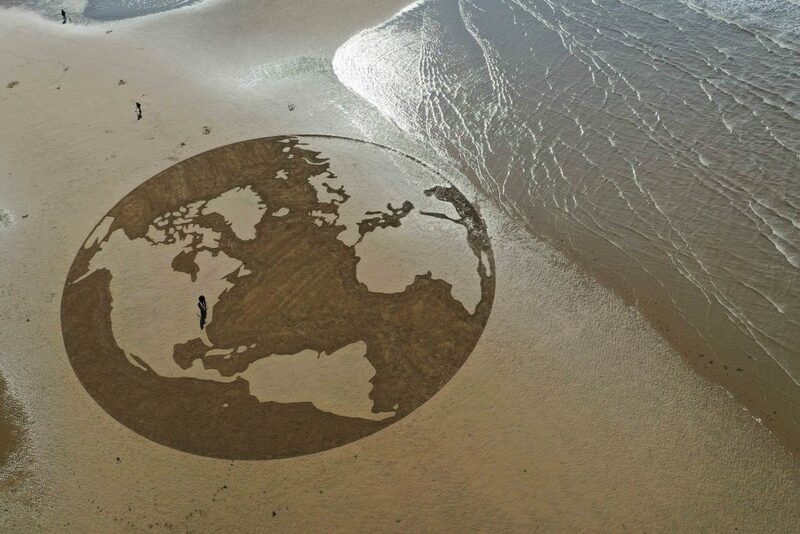 Who is a metal detector, who is a sand artist? 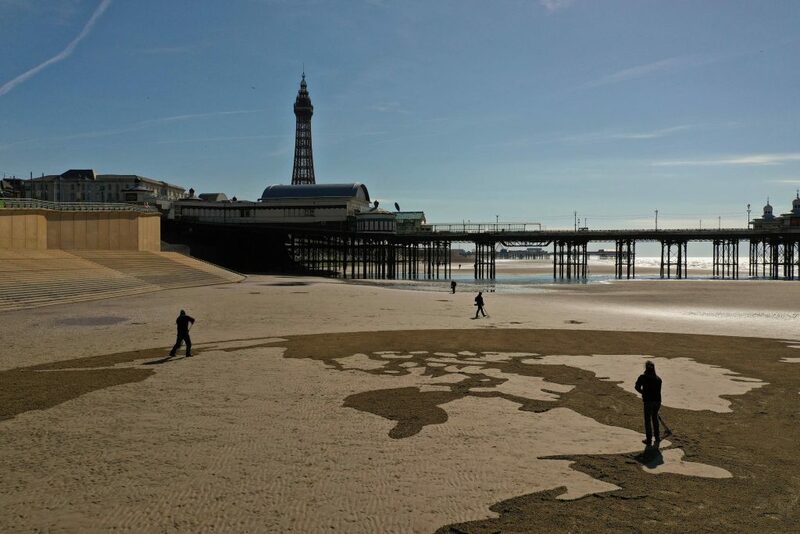 You can’t have a day at the seaside without fish and chips and happily the location of the sand drawing was right by north pier, under the watch of Blackpool tower and only a short walk to Harry Ramsden’s. 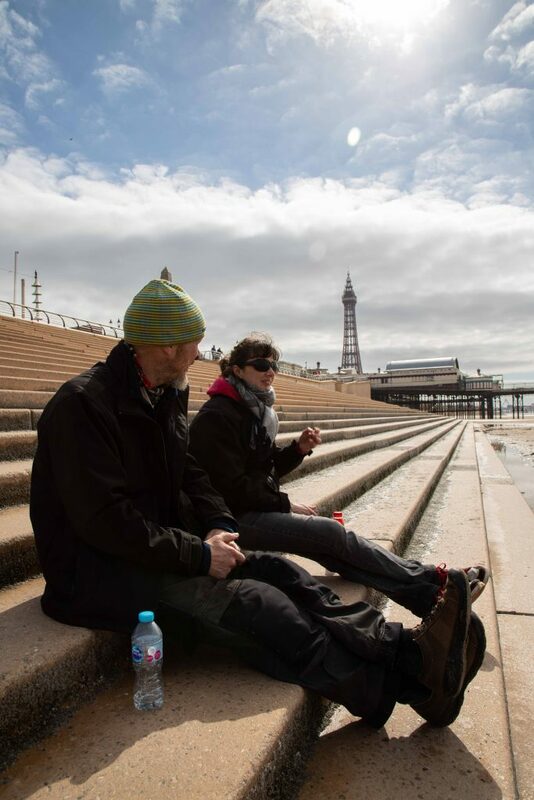 We love working in Blackpool and this time got to stay in a castle! 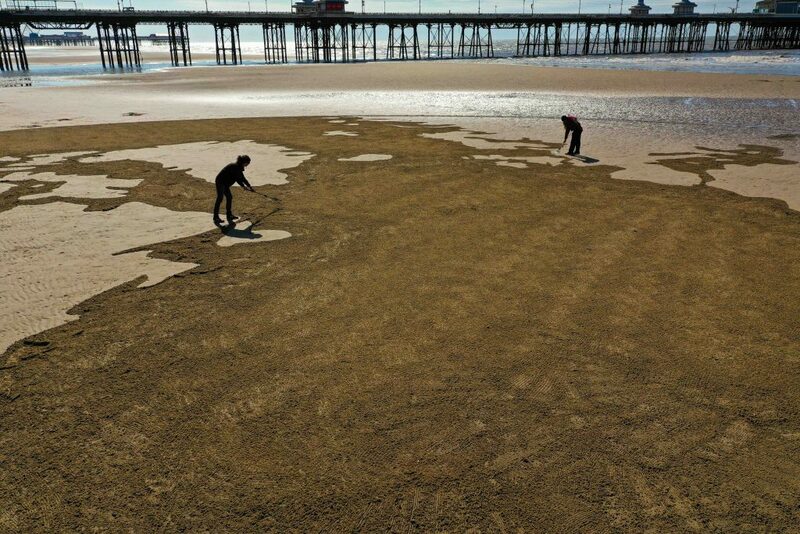 The bingo was in full swing when we arrived but we had an early start to make the sand art so had to give it a miss, sadly.